Part of a recently unveiled quartet of limited editions with metallic blue dials, the Panerai Radiomir 1940 3 Days (PAM00690) is essentially a more elaborate Radiomir 1940 Marina Militare (PAM587). 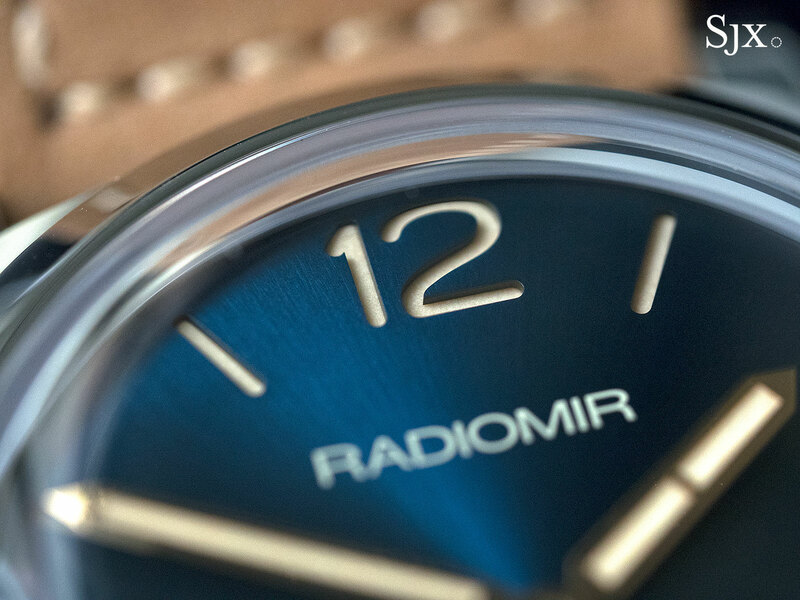 Instead of the traditional military-style black dial, the new Radiomir 1940 has a bright blue dial with gilded hands. 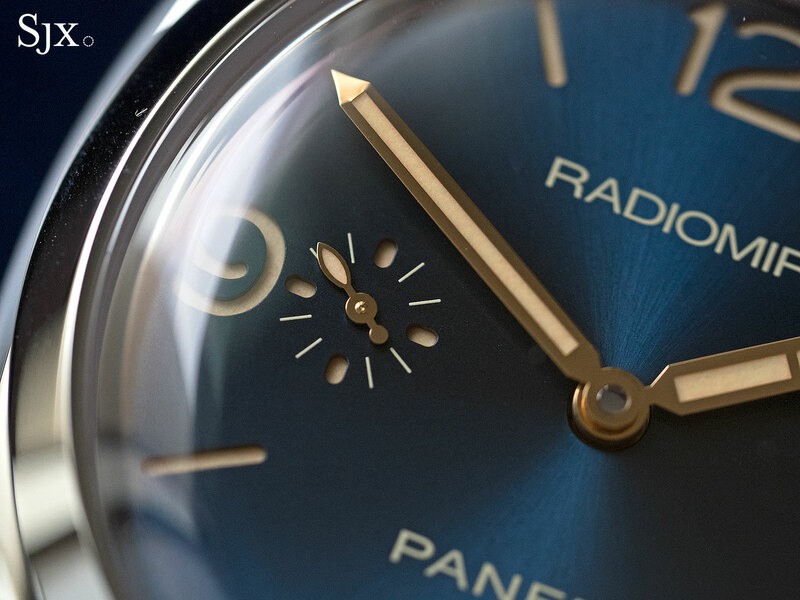 Distinctly more modern and glossy than the usual Panerai, the Radiomir 1940 PAM690 is not a Panerai for traditionalists. But it is in keeping with the brand’s evolution from remakes of military watches towards timepieces sporting a civilian-friendly look, with the extra-thin Luminor Due being a case in point. 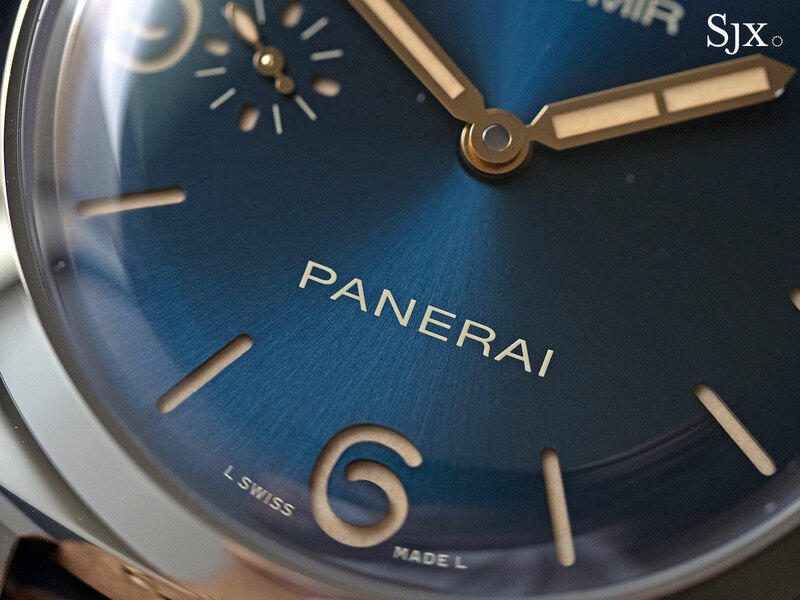 Given Panerai’s track record, if the metallic blue shade is a hit, expect many more in the same colour next year. 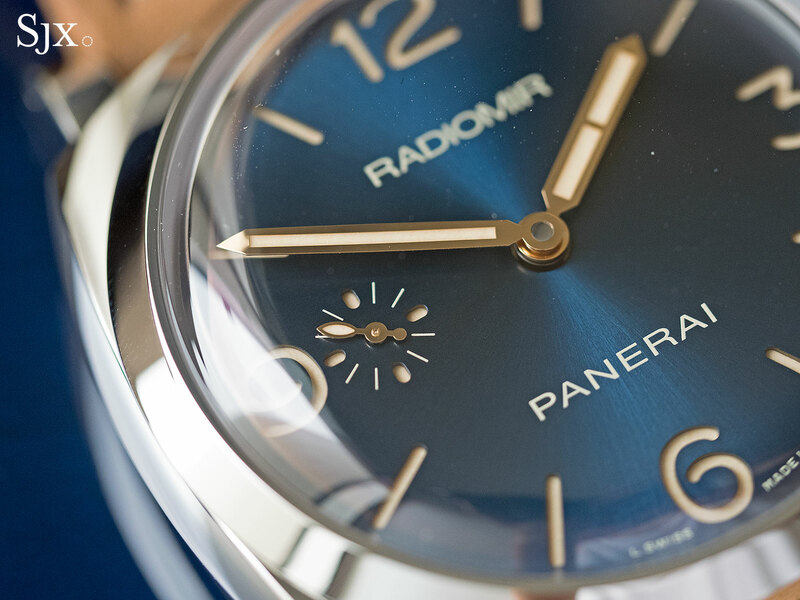 The dial is rich blue with a sun ray-brushed finish, and typically for a Panerai, features a sandwich construction. That means the upper blue dial plate sits on a lower dial plate painted with Super-Luminova, leaving the luminous paint to glow through cut-outs for the hour markers. And the Super-Luminova is ecru, a beige colour that approximates the look of aged radium found on vintage Panerai (the Radiomir moniker comes from the word “radium”). The case is stainless steel and 47mm in diameter, fitted with a domed sapphire crystal. 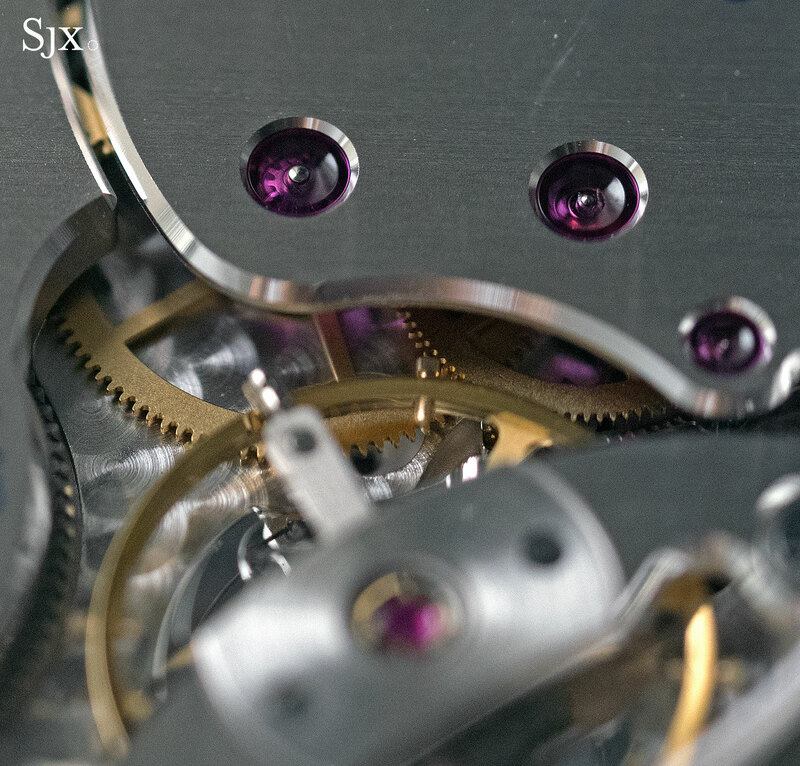 The display back reveals the P.3000 movement that is Panerai’s interpretation of the pocket watch movements found in vintage Panerai watches. It’s the same calibre found in most hand-wound, 47mm Panerai watches, including last year’s Luminor 1950 Titanio DLC. The P.3000 is a big, 16 1/2 ligne (about 37mm) movement with a largish balance wheel that’s hand-wound with a three day power reserve. Notably, it’s the first generation P.3000 with a single bridge for the gear train, and not the second generation with separate bridges that made its debut on the “tropical” dial PAM662 and PAM663. The Radiomir 1940 PAM690 is fitted to an Assolutamente strap in tan, made of a cowhide treated to quickly develop a patina, meaning it will darken rapidly with use. And like all the other watches in the blue dial series, the PAM690 is presented in a cherry wood box lacquered a dark blue. 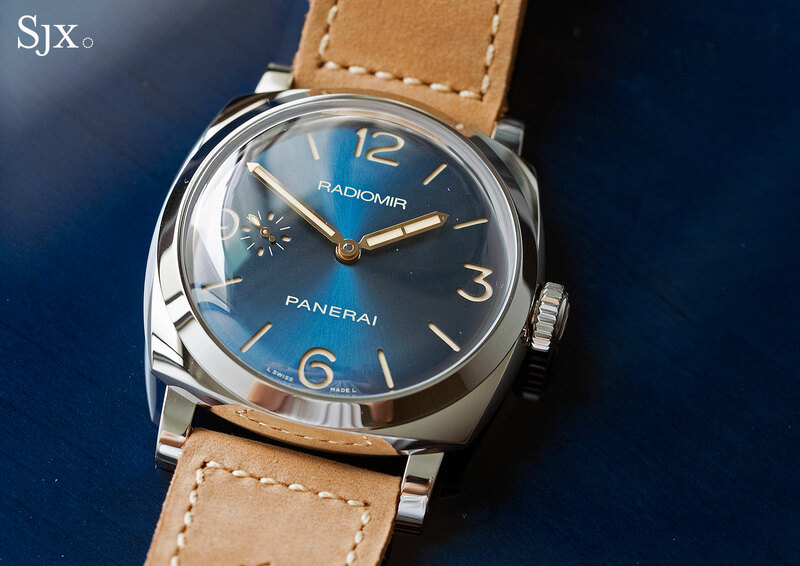 The Radiomir 1940 PAM690 is a “Special Edition”, which is Panerai lingo for a limited edition – 500 will be made. It’s available only at Panerai boutiques, the Radiomir 1940 3 Days Acciaio PAM00690 is priced at US$8900 or S$13,100. Panerai recreates the look of vintage "tropical" dials with the limited edition Radiomir 1940 PAM662 and Luminor 1950 PAM663, both powered by the revamped calibre P.3000.